On December 15, 1961, in Jerusalem, Adolf Eichmann was sentenced to death for crimes against the Jewish people and against humanity. Eichmann had played a central role in the mass deportation of Jews to Nazi extermination camps, and the judgment of the court was largely met favorably. But a group of Holocaust survivors and intellectuals, including Hannah Arendt, Hugo Bergmann, Martin Buber and Gershom Scholem, called for Eichmann's sentence to be commuted. By opposing Eichmann's execution, they felt they were defending the values of Judaism, and raised questions about Jewish morality, and the very nature of a Jewish State. 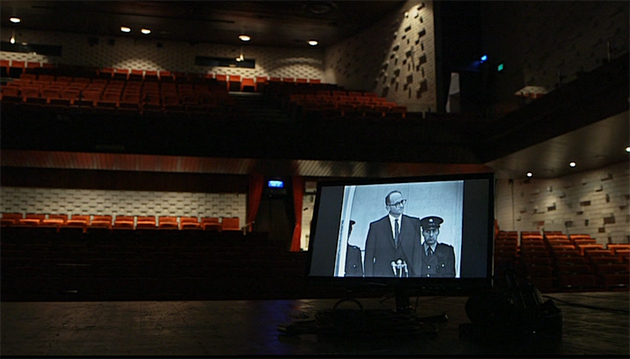 ABOUT EXECUTING EICHMANN examines their arguments, bringing together texts, eyewitness accounts, archival footage, audio recordings, and materials from the time, along with discussions amongst contemporary Israeli historians and philosophers, including historians Anita Shapira and Hanna Yablonka, and philosophers Moshe Halbertal and Amnon Raz-Krakotzkin. ABOUT EXECUTING EICHMANN returns to a little-remembered debate that was central to its era, and makes clear how relevant the issues continue to be today, and why we should revisit them. Holocaust survivor Simone Lagrange vividly recounts her experiences in Auschwitz, and the role she played in bringing Nazi war criminal Klaus Barbie to justice.